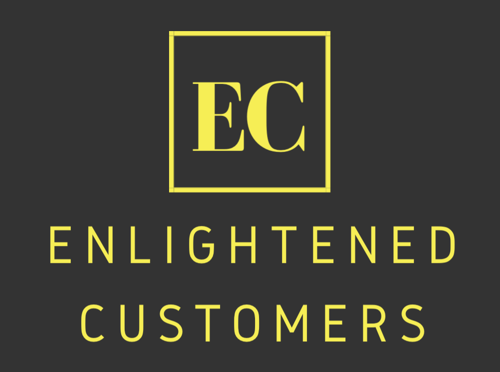 What is an “Enlightened Customer” and why has yet another blog been born on the interweb? Having worked in customer facing roles for over 20 years I’ve witnessed a significant shift in how customers have evolved over time. The driving force behind this change is information and the access to this information. Not only does the customer have access to better information that can be retrieved quite quickly, employees at all levels now have access to the right type of information to serve this new breed of consumers that demand that this information be easily accessible. I’ll tell you a great story that illustrates this point. In my teen years when I worked as a stockclerk (or supply chain engineer as I referred to in my resume) at a now defunct grocery chain called Hy & Zels, I had customers that would come up to me and say “There are no more hot dogs on the shelf that you have advertised. Do you have any in the back?”. I can tell you that nine times out of ten, we didn’t have any extra useful stock in the back room but we did a quick check just to be sure. After I wasted a good five minutes for a fruitless search I would come back and let the customer down easy by telling them that we have no hot dogs but we may get some next week and that they can get a rain check. I honestly have no idea if we’re getting any hot dogs next week. I’m just a part time stock clerk that is thinking about my tiny pay cheque and what I’m going to do when my shift is over. 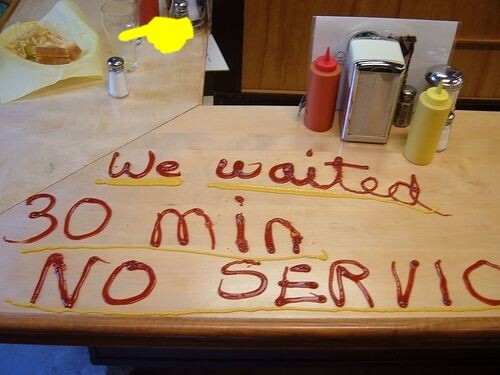 The customer is not happy with the the predicament but understands the situation and moves on. Fast forward to today and life is quite different. I went to BestBuy this past weekend to buy a printer that was on sale. I’m told that the printer that I want, the one that I spent watching two hours watching online demos in 3D on, the one that I read over two dozen consumer reviews on, the one that I had my heart set on because of the cool LED display and fast print time is sold out. In my head I have one word: BS. I know that this guy that I’m talking to is full of it because 30 minutes ago I checked the online availability and there were five of them left at this store. I let him know this fact and demanded that he check for additional printers in the back. He does a quick check on his computer and tells me that we just sold the last printer at this store five minutes ago but he sees a printer at another store not too far away. He calls that store for me and reserves the printer for me to pick up. While in my mind I still think that there may be a printer in the back I realize that I now need to schlep a few blocks to get the printer that I want. Before I go that route I whip out my Smartphone and start looking at consumer reviews for the other printers that are on sale at this store. I find one that I like even better then the original one I wanted and also see from the website that the ink for that printer is on sale so the combined purchase is less than the original printer I was going to get. I purchase this other printer and go home happy hoping that the setup won’t be too difficult but know that if I have any issues, I can always Google it or read some online forums. Hey, if I have any issues, I can consider bitching on Twitter with a big #fail hash tag and know that I’ll probably get a response. I am a living, breathing enlightened customer and I know it. Enlightened customers demand more from companies they do business with because they can. The goal of this blog is to provide stories and tips for enterprise B2B companies of all sizes and especially Customer Success professionals to improve the way that we work with customers today so we can provide the best experience possible. The first step is accepting the world of the enlightened customer that we live in. Are you ready?